Bishop David Bard, Michigan Conference, will soon release a letter for pastors to share with congregations this Sunday, March 3, 2019. The Bishop is also featured in this video interview with Communication Director Mark Doyal. 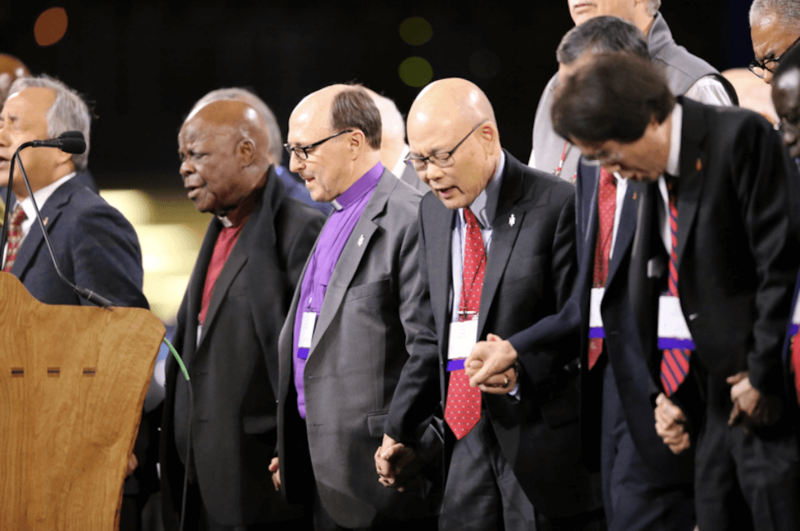 ST LOUIS, MO… At the 2019 General Conference of The United Methodist Church in St. Louis, MO, delegates voted to maintain the church’s stance on human sexuality. Also, enhanced enforcement provisions were approved as a way to encourage pastors, bishops, and churches to follow Disciplinary requirements. It is not yet clear how much of the plan will be ruled constitutional. The 864 delegates (half lay, half clergy) from all over the world met in St. Louis from Feb. 24-26 to discuss and act on a report of the Commission on a Way Forward over the issue of human sexuality. The decision of the General Conference offered majority support for the Traditional Plan. The vote, of the total international body, was 438 to 384. Research indicated approximately 2/3rds of delegates representing U.S. churches voted for more inclusive plans, while the more traditional delegates representing Africa and Asia supported the Traditional Plan. The delegates then voted to ask the Judicial Council, the highest court in the denomination, to review the constitutionality of the approved legislation. No progressive or traditional local churches in Michigan have indicated they plan to leave the denomination. Two thousand clergy and laity will meet in Traverse City, MI May 30 to June 2, 2019, for the Michigan Annual Conference. Bishop David Bard is the spiritual leader of approximately 800 local United Methodist churches and over 130,000 members in Michigan.